Do I need a reservation to get on the bus? Although a reservation is not required, it is strongly recommended to guarantee a seat on a bus. PRINT OUT YOUR TICKET AND PRESENT IT TO THE DRIVER AS IT IS YOUR ONLY WAY TO GET ONTO THE BUS WITHOUT PAYING DRIVER DIRECTLY. If you have not made a reservation and there is room on a bus, you may purchase a ticket from the driver at the pickup site. Vermont Translines coaches are equipped with Wi-Fi for your convenience. The Wi-Fi technology is based on cellular signal, therefore it is possible for the signal to be weak or lost in rural areas. Vermont Translines is not responsible for service interruptions that are beyond our control. The Route 7 bus is equipped with a bathroom. The Route 4 bus, which is a much shorter route, does NOT have a bathroom. For your comfort, please plan accordingly. Does Vermont Translines cancel or delay service due to weather? Vermont Translines is very dependable and will rarely cancel service due to weather, unless we feel that passenger safety is at risk. Information on cancellations or delays can be obtained via the Vermont Translines website VTtranslines.com or by phone, toll free, at 1-844-VTTRANS (844-888-7267). Bicycles are allowed beneath the bus in the luggage bays after all luggage has been loaded, if space permits. Bicycles in boxes are preferred and will be treated as regular luggage. If you are connecting to another bus service, please be aware that each carrier has its own rules regarding bicycle transport, so check ahead with the connecting bus services to avoid inconveniences. Does Vermont Translines sell Greyhound tickets? Yes, Vermont Translines is a Greyhound Connect partner and sells tickets within the Vermont Translines network as well as within Greyhound’s network, to connect you to the world. Yes. All Vermont Translines vehicles are wheelchair accessible. No animals or pets are allowed on the bus. Federal law prohibits Vermont Translines from carrying any animals in their buses with the exception of service animals. Are smoking, e-cigs or chewing tobacco products allowed to be used on the bus? May I bring food and drinks on the bus? Food and drinks are allowed on the bus, with the exception of alcoholic beverages. Glass, however, is not permitted, so all beverages must be in plastic bottles or cans. Are there any restrictions as to what I may bring on the bus or in my luggage? Vermont Translines strictly prohibits the following items: Acids, ammunition, animals, combustible liquids, compressed gases, corpses, cremated remains, explosives, firearms of all types, fireworks, flammable liquids, furniture, hazardous materials (poisons, radioactive materials, etc. ), materials with a disagreeable odor, matches, merchandise for resale, protruding articles, or any unsecured articles including those in plastic or paper bags. My bus was late, am I entitled to a refund? No. 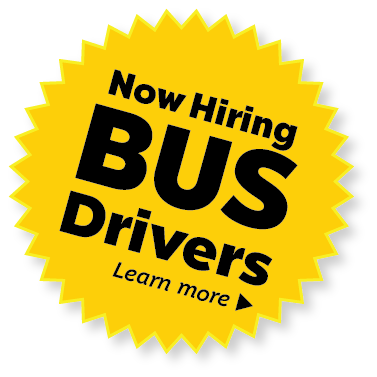 Vermont Translines values your safety and the safety of our drivers above all else. We make every effort to provide on-time service, but cannot guarantee any departure or arrival times for any reason, including, but not limited to: weather conditions, traffic delays, road construction or mechanical issues. Vermont Translines is not liable for any inconvenience, missed connections or expense caused as a result of any delay. If I lose my ticket can I get a refund or replacement? No. Vermont Translines is not responsible for lost, stolen, or destroyed tickets and does not issue refunds for any of these reasons. Is there a car rental agency available in Manchester, VT? Yes. Langway Chevy VW of Manchester, VT offers rental vehicles from $39 per day near the Bus Parking Area Stop on the Vermont Shires Connector Route. You can reserve your rental online at LangwayofManchester.com or by phone, toll free, at (866) 290-2999. Albany Airport: Where exactly does the bus pick me up at Albany Airport? Vermont Translines also understands that customer service is important, and not all questions can be answered online. If you would rather speak to someone directly please contact the customer service department using the contact information below.